With its sleek design and distinct rumble of the engine, the 2019 Jaguar F-TYPE is a true Marlboro, Freehold, and Englishtown sports car. From the effortless performance to the numerous interior amenities, this is a vehicle that’s capable of handling the roads in an agile yet precise manner. Ray Catena Jaguar Marlboro is certainly excited about the 2019 F-TYPE, and we’re here to share our excitement with you through this vehicle review. We’ll talk all about that potent performance, the interior features you’ll come to love, and the technology which makes any drive more intuitive. The F-TYPE carries a lengthy list of engines, with five options in particular. What engines are available depends on trim level selection and whether you’re driving the coupe or convertible. The base edition of both the coupe and convertible features three different engine options. The popular 2.0-liter turbocharged 4-cylinder engine linked to an automatic transmission produces 296 horsepower. The 2019 F-TYPE goes all the way up to a supercharged V8 engine, which is capable of providing 575 horsepower. With its lightweight aluminum body and finely tuned suspension, the Jaguar F-TYPE is capable of delivering an impressive ride. 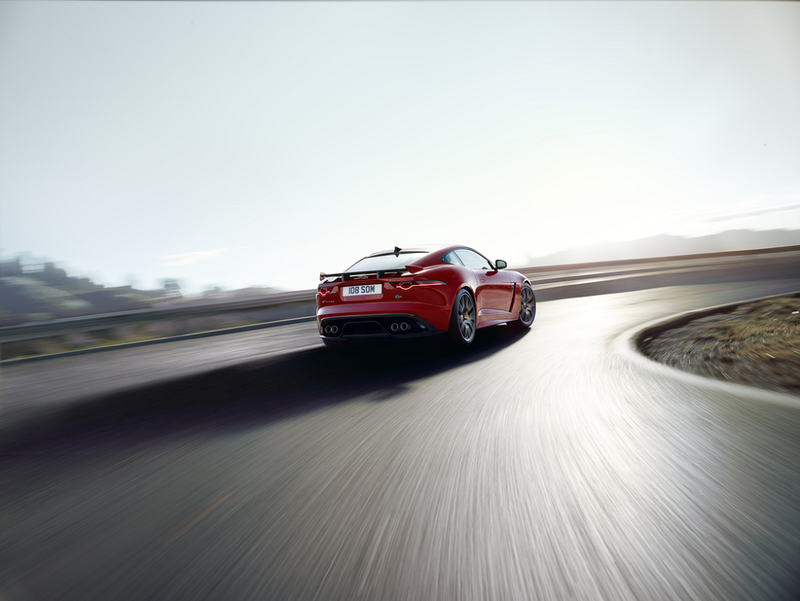 F-TYPE and F-TYPE R models come with all-wheel drive, offering balanced and poised handling. Torque vectoring technology, meanwhile, is able to provide controlled independent braking of inside front and rear wheels while cornering, for a sportier and more responsive ride. This 2-door, 2-seat sports car creates a special kind of driving experience, with the seats able to wrap you in snugly while maneuvering around tight corners at higher speeds. The large analog dials in the interior are simple and easy to read. Meanwhile, the 3-spoke steering wheel is designed for easy grip with the automatic models featuring gear selector paddles behind the spokes to allow more control over your drive. Both the sports and performance seats were built with sports car performance in mind. The lighter construction of the standard leather seats helps to reduce vehicle weight, while the performance seats have increased lateral support and available ventilated settings for increased comfort during the warmer months. Every Jaguar comes with the Jaguar InControl® infotainment system known as Touch Pro™. It features intuitive and advanced technologies to ensure everyone’s able to get the most out of their trip. The standard 10-inch touchscreen supports swipe and pinch movements, with customizable home screens set up the way you want them to look. InControl® Apps™ can enhance the driving experience and assist you as you’re driving. SiriusXM® is standard on all F-TYPE models, with a large selection of music, talk, sports, and so much more. The available Meridian™ Surround Sound System delivers outstanding audio through 10 speakers and a pair of powerful subwoofers, for an experience that can make all your favorite songs sound like new again. Visit Ray Catena Jaguar Marlboro to test drive the 2019 Jaguar F-TYPE. You’ll have the chance to see how this vehicle handles the roads of Marlboro, Freehold, and Englishtown, while checking out its performance capabilities and interior amenities. Have questions for our staff? Contact us today!